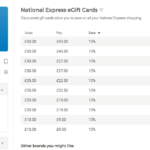 Travel the cheaper way as possible with a National Express coach. Sometimes when you are on a budget you need to be smart to save on your expenses, especially as travelling can be expensive in the UK. Do you buy online? If yes, there is a tool you should use every time you buy something online. 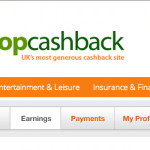 Get back a small part of the money you spent, then convert your cashback in Amazon.co.uk Gift Certificate, a Love2shop High Street Shopping Card, Tesco Clubcard Points, BACS, Paypal, and more.